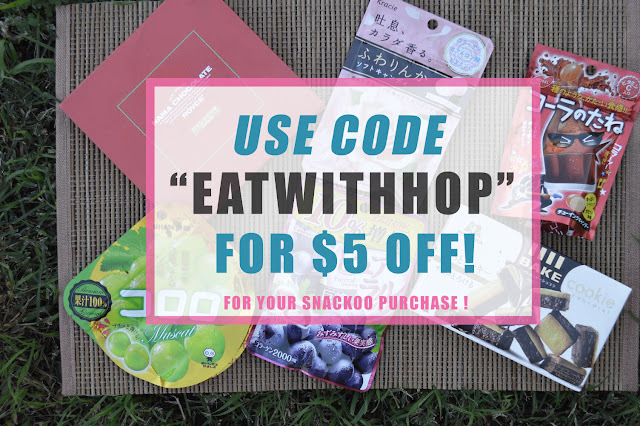 Review + Discount | Snackoo, Your One Stop Shop For International Snacks - EAT WITH HOP! 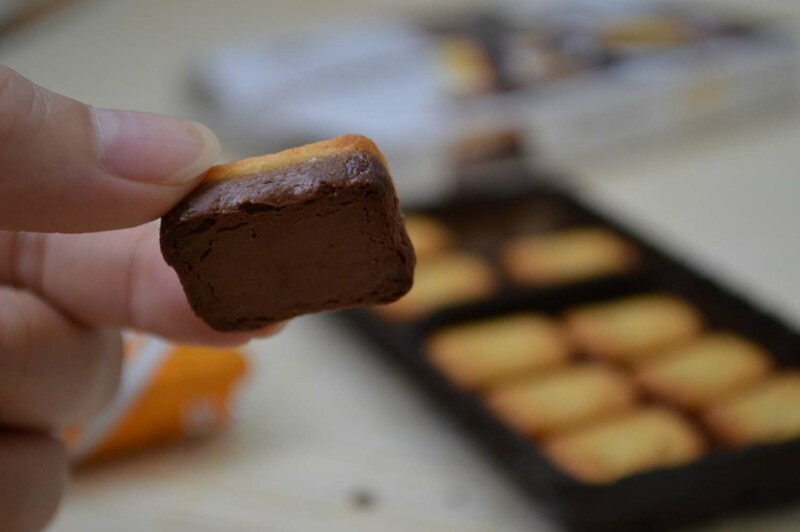 ARE YOU READY TO SNACKOO ?! 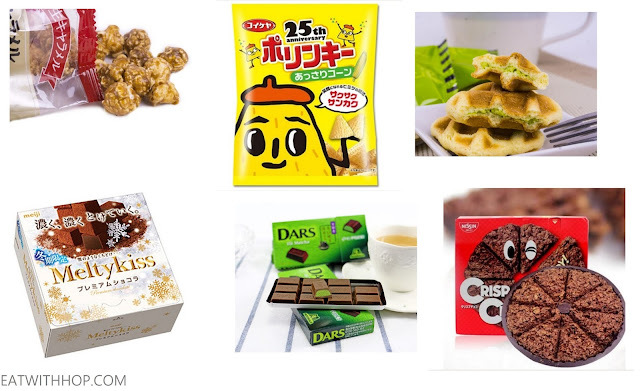 Snackoo offers a variety of awesome and unique Asian snacks that you may never even heard of. They also curate special boxes to you in the form of Snackoo Boxes. It's definitely a surprise every time because you never know what you're really going to get, but that's why it's so fun! If you prefer picking and choosing yourself, you can choose from a variety on their website! I used to study in Japan and lived there for almost a year in total! 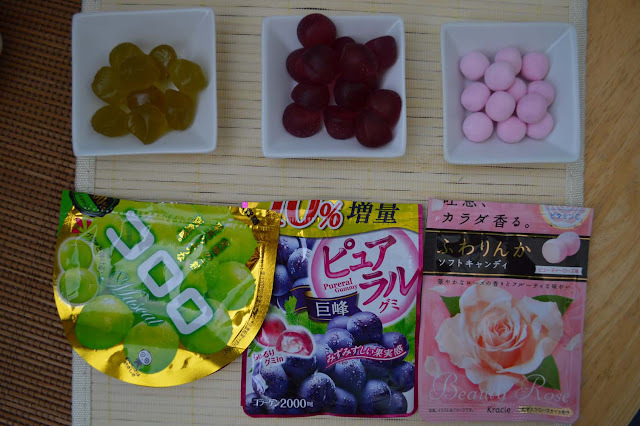 So I am actually really familiar with a lot of the snacks they have since most are Japanese snacks and candies. Some, though, I have never even seen! Not gonna lie, some Japanese snacks do need an acquired taste. For an example ... what is even Dried Myrica Rubra ?!?! 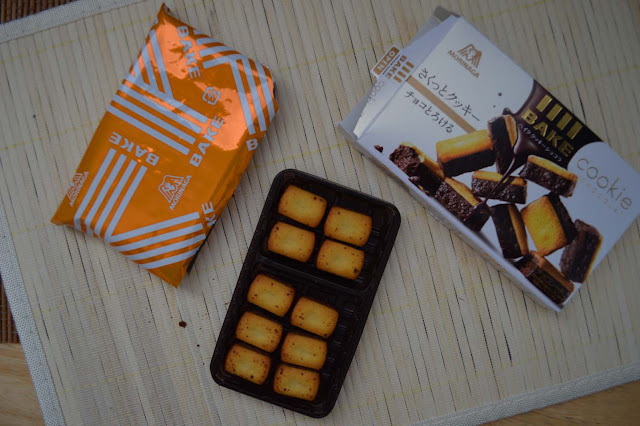 So actually, when I heard of Snackoo, I also was reminded of Japan Crate, an online snack subscription service from...you guessed it! Japan! 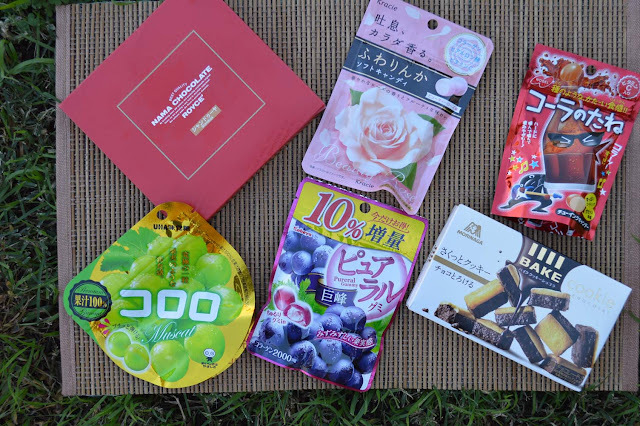 Since Snackoo offers a box of primarily Japanese snacks, of course I had to compare it with Japan Crate. I've never ordered a Japan Crate before, so let's review based on ... the potentials. You know, what we all do when shopping online and making not impulsive buys. On the Snackoo website, you can pick what type of box you want. You don't however, get a clear idea of how many items you get as the photos are simply just a representation of the Snackoo Box. 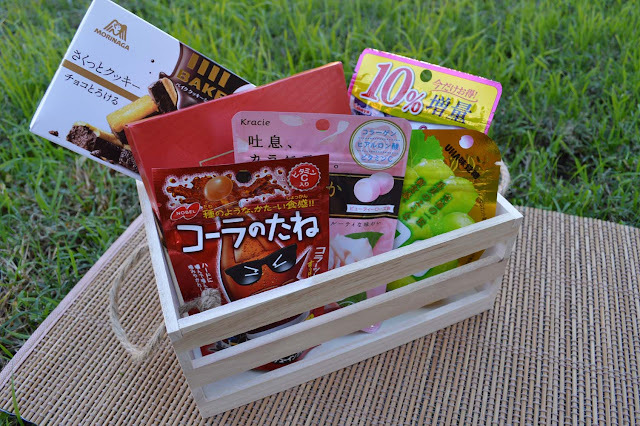 Japan Crate is an online monthly snack subscription service. Snackoo is not. Both are focused on Japanese snacks. Snackoo not only offers their box, but offers individual snacks to buy so you can pick and choose. With Japan Crate, it's a surprise every time with the box. Snackoo Box has one price option which is $24.99. However, it doesn't specifically say on the website how many items you get in the box. Snackoo Box has 3 options of savory, sweet and mixed. Japan Crate is a big surprise. 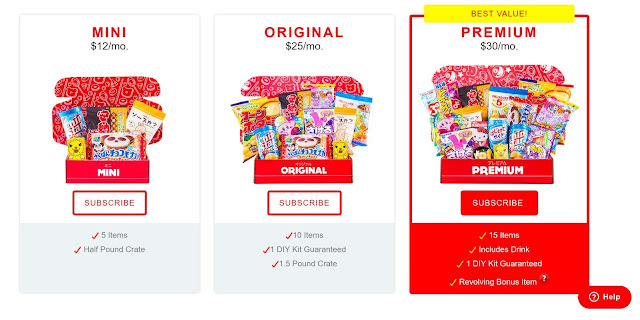 Overall, Snackoo has transparent options where you can pick and choose individually [if not the box] whereas Japan Crate is only the subscription surprise box. I got 6 items for my Snackoo Box! 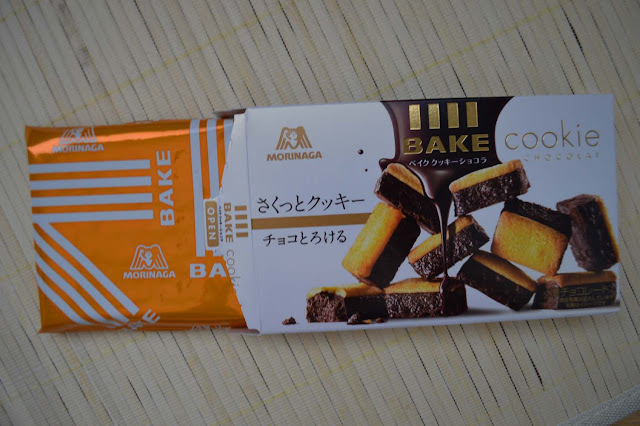 Morinaga | Baked Chocolate Cookie Bites : Crunchy and chocolatey! These were good but remember, if you don't eat the entire thing at once, at least seal it up without air! I made this mistake and it became all soft and stale. Anyway, this reminds me of those chocolate biscuits but this is kinda airy inside. UHA | Premium Pure Muscat Gummy : These reminded me of a fruity gushers. 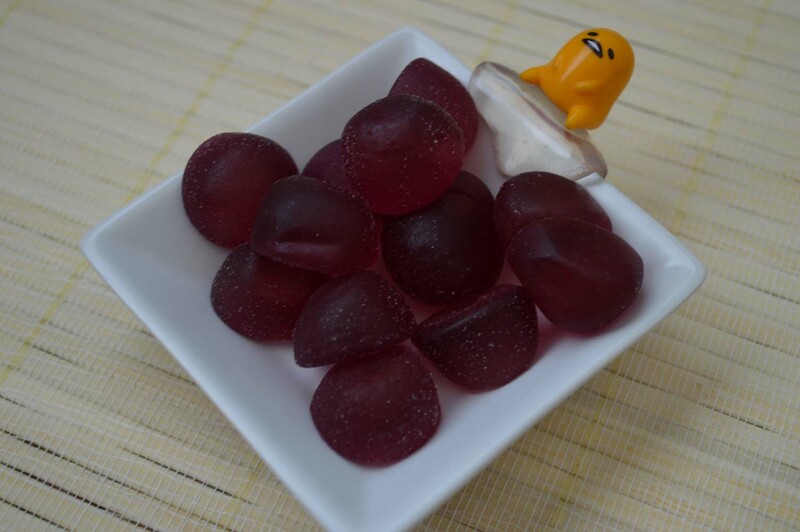 The "skin" of the gummy was very thin. 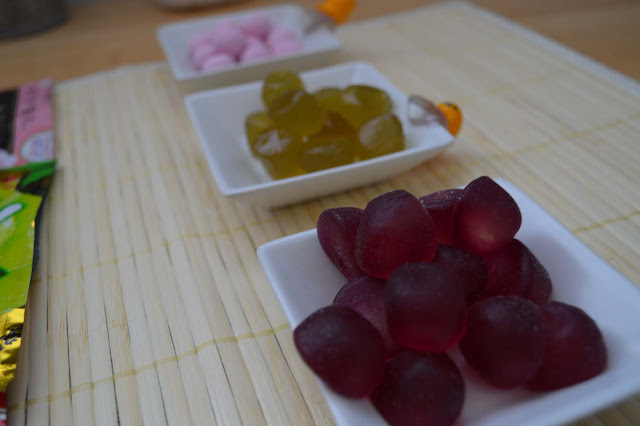 I felt like they are trying to imitate actual muscat grapes because the texture was like that and feel and everything except the taste was candy like and sweet. I didn't really like this unfortunately. 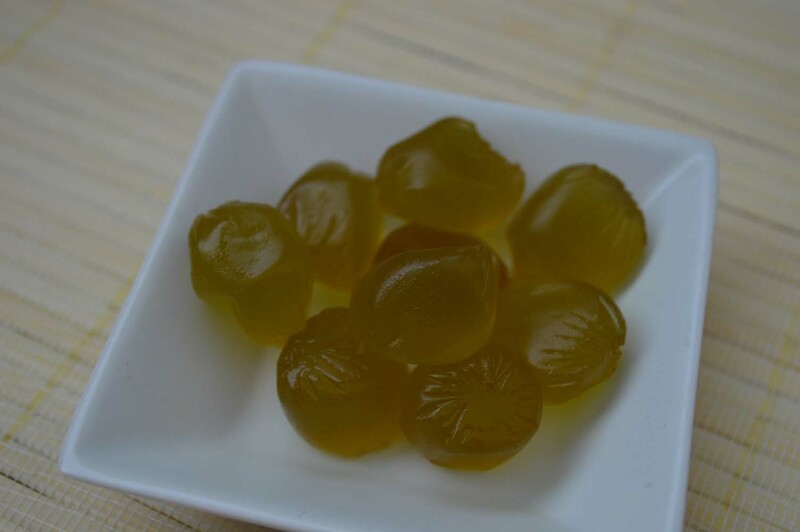 Kabaya | Pureral Grape Gummy Candy : Same as the Muscat Gummy basically. 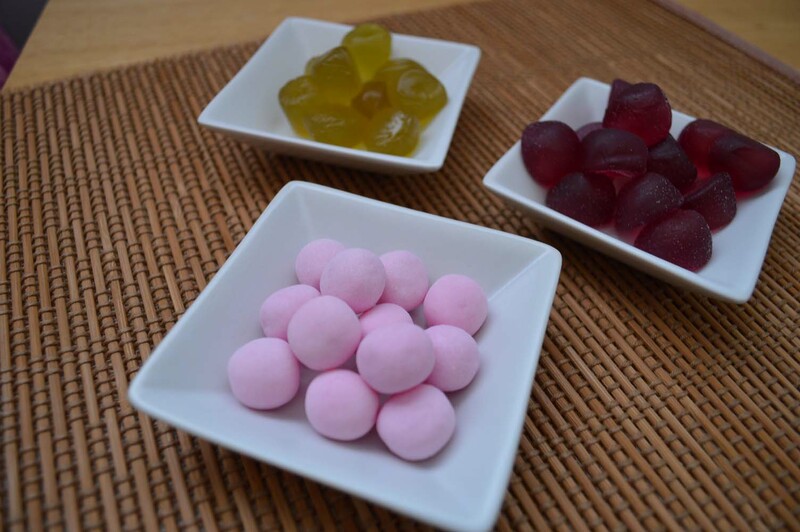 Nobel | Cola Candy : This is a hard candy that gives you a burst of cola flavor once you bite into it. It kinda reminds me of Skittles candy except all cola flavored! Kracie | Rose Candy : Reminds me of bon bons! 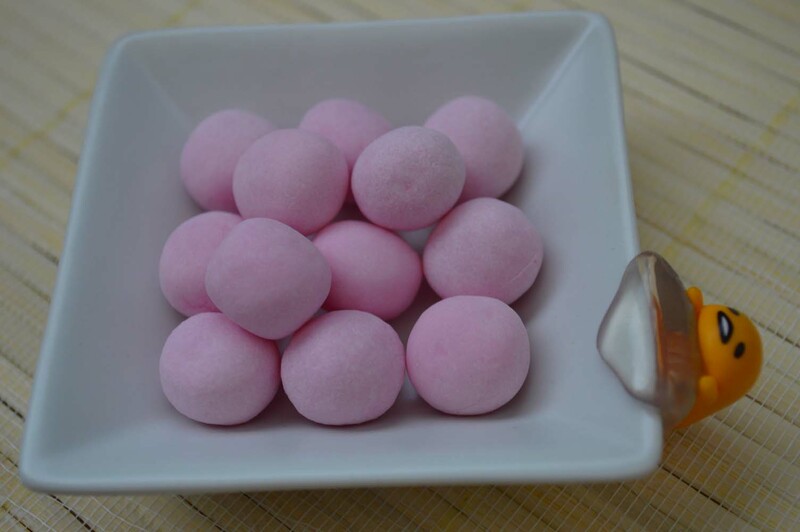 It's also a hard candy like the Cola one where its soft once u bite it in (like Skittles?!?!). Does taste like rose but I personally didn't like this one. 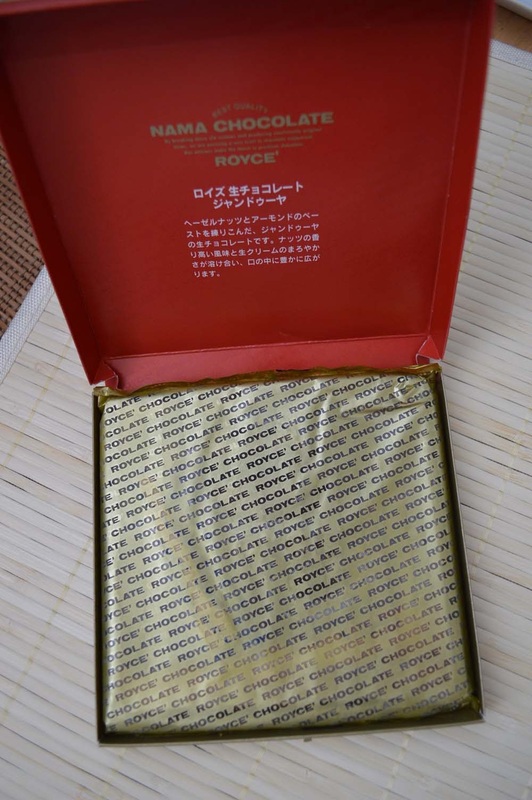 Royce | Nama Chocolate "Gianduja" : Alright... I cannot give a good opinion on this because I messed up! I wasn't home when I got the package and this chocolate is supposed to be frozen! The package already comes with like an ice pack but it was out for like 2 days so it melted already. 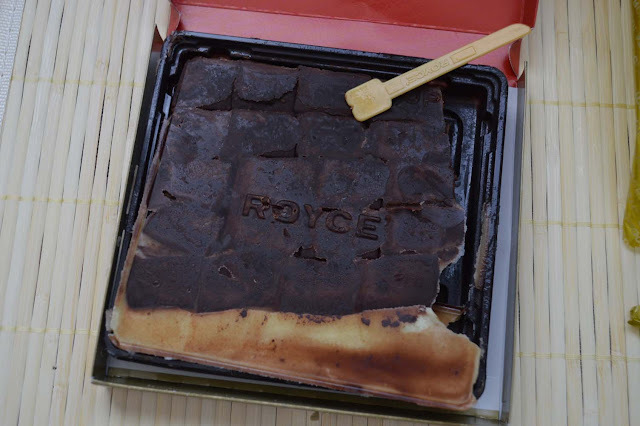 When I opened the box and put it in the freezer, I was basically freezing it in it's deformed form... since it already melted T__T. When I tasted the chocolate it still tasted good though. It was very thick and chocolate-y, sorta like a brownie and it comes in little square pre-cut. Comes with a spoon as well! WHAT'S THE VERDICT? SHOULD YOU GET IT? If you don't live in an area where Asian supermarkets are generally accessible, then yes. 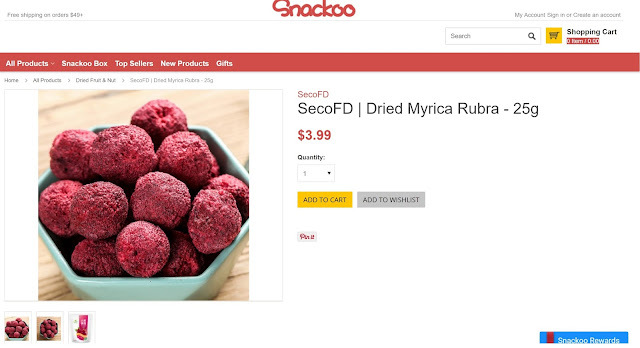 Try Snackoo! Go for it! 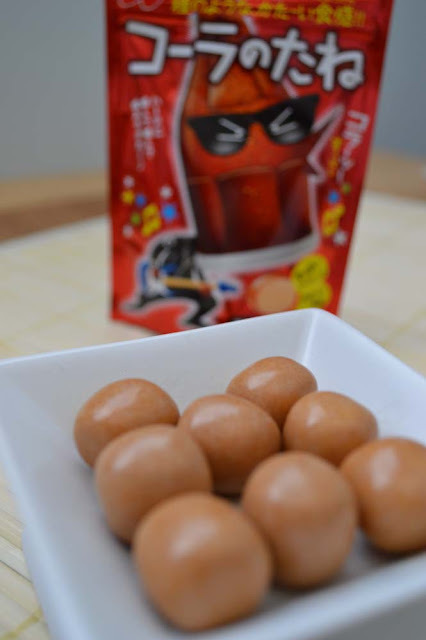 If you are a huge fan of Asian snacks, especially of Japanese snacks, then give Snackoo a shot! I like how they allow you to pick and choose individual snacks so it's not a surprise. But if you like surprising yourself, go ahead and get the box. I personally would not get this box for myself because I live in such a diverse area. I like to say that I am very lucky to be living in Orange County and Los Angeles. There are so many communities here of different cultures including Vietnamese. Korean. Japanese, Filipino, Indian and more. Because of this diversity, my palette has explored the world without even leaving California! I'm so glad that there are nearby Japanese and Asian supermarkets that are less than 30 minutes away that actually carry a lot of the stuff Snackoo offers. You can check stores such as Marukai, Tokyo Central and Nijiya for Japanese goods. SO BASICALLY, IF YOU LIVE IN THE MIDDLE OF NOWHERE BUT WANT SOME COOL ASIAN SNACKS, SNACKOO IS DEFIITELY AN OPTION!! AND IF YOU DO DECIDE TO TRY IT... 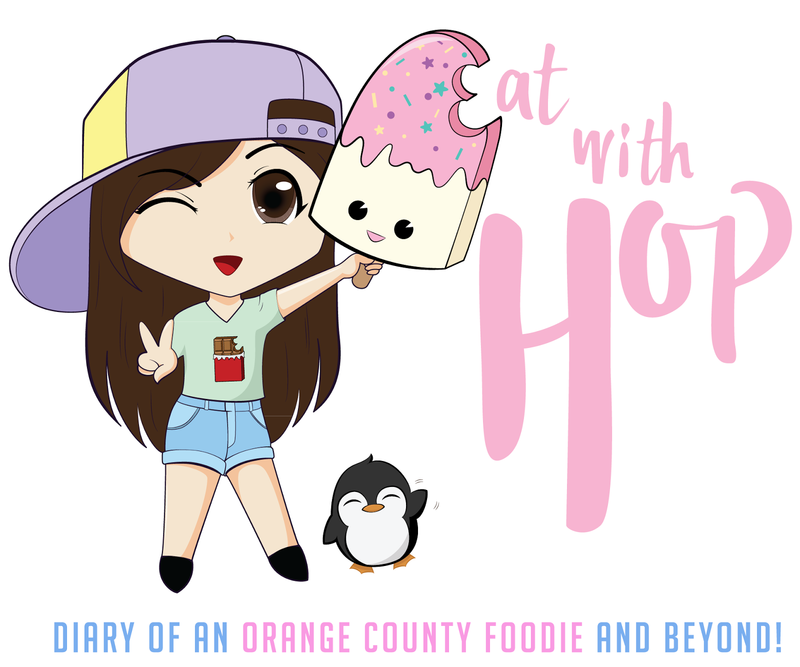 HERE'S A $5 OFF DISCOUNT CODE ESPECIALLY FROM ME TO YOU!